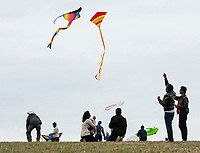 Guests fly kites Saturday, March 23, 2019, during the 29th annual Eureka Springs Kite Festival hosted by Turpentine Creek Wildlife Refuge in Eureka Springs. 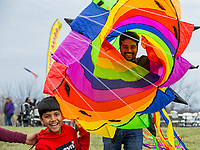 The free family event included kite making and kites for sale from Keleidokites in Eureka Springs and a variety of food trucks and entertainment. 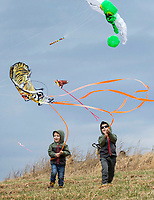 Strong wind kept dozens of kites flying high at any given time.